The Hulu app for mobile devices is of no use to anyone, unless they pay the $8 per month for the Hulu Plus service. 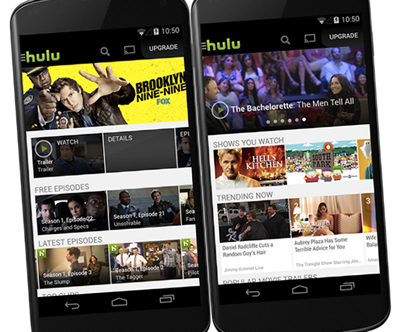 But today Hulu have announced that a new Android update will offer a selection of free content. With a couple of exceptions the app will offer the free Hulu service on mobile devices. The move was announced by Hulu back in May, and will currently will work on Android smartphone and tablets only. The update offers mobile users selected free episodes and content from Network shows from NBC, Fox, and Comedy Central as well as Hulu Originals, Anime, Kids, Movies and Latino. For viewers that still want whole seasons and full access to the Hulu back catalog, then signing up to the premium Hulu Plus subscription service is the way to go. And conveniently Hulu have that option staring you in the face from within the app. But any free content for mobiles is a great bit of news. No dates have been given for an iOS version, but it cannot be too far away. Android users can download the updated app from the Google Play Store. Consumers looking to be entertained are increasingly switching off the TV, and instead logging in to online entertainment says a new survey. The survey taken by Deloitte in Australia, shows that the country is reached the ‘digital tipping point’ and that digital has finally ‘come of age’. The survey of 2300 respondents showed that the internet ranks in their top three entertainment sources, 18% of respondents say they make use of catch-up TV services such as ABC iView and Foxtel Go to watch shows, and that 80% say they multitask on devices whilst watching the TV. At the current rate of growth, and within the next 12 months online will ­overtake the TV as the preferred source of entertainment. A recent connected life TV survey came up with similar findings. The Deloitte Media ­Consumer ­Survey shows that Pay TV is not being cut at a greater rate with cancellations at a steady 4%, but that consumers are using the internet more as a supplement to their entertainment needs. 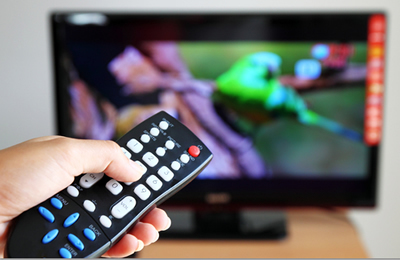 25% of Australians are planning to subscribe to an online ­television ­service in the next year. Binge viewing on TV show sis also a massively growing trend, as people move to the web to view TV. 70% of respondents said they have watched over three episodes in one viewing session. Social media is also a big part of peoples daily lives, with 54% saying they post daily, a rise of 170% on 2013 stats. It’s always good to know what others are thinking about a show as you watch it, and Beamly (formerly known as Zeebox) has released a chrome extension that brings those live tweets to UK catch-up TV services. The Beamly add-on will show an added social panel when used with catch-up services – BBC iPlayer, ITV Player and the Channel 4 4oD service, and will show tweets and comments made by viewers when the show was originally broadcast. Beamly who recently rebranded from their original name of Zeebox, is a TV guide mixed with a co-viewing experience, that brings social signals to TV listings. The company say they are looking to include support for more broadcasters along with international support for US and Australia streaming websites. To see it in action just head over to the Chrome web store for the free Beamly OnDemand extension. Read more on the add-on and the difficulties encountered getting the functionality right by reading the Beamly blog here. Computers are fighting off the ever growing threat from tablets and smartphones, as it was revealed by the BBC that PC’s accounted for 33% of iPlayer requests, a rise from 31% the previous month. The UK catch-up TV service had 273 million program requests for May, and of those 202 million were for TV shows, and 71 million were for radio content. The BBC Data showed that although computers, tablets (which had 24% of requests), and smartphones (18%) are the dominant hardware for watching streaming TV,there was some “modest growth in request from TV platforms in May,” which accounted for 17% of requests, games consoles (4%) and other connected devices (3%). 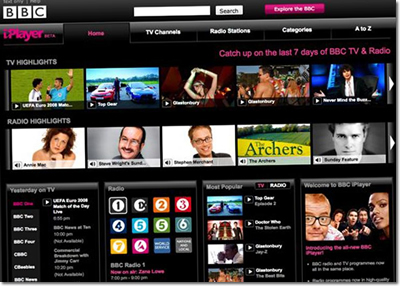 The rise of computer requests which was up 2% from the previous month, was attributed to the growth in iplayer radio listening. The BBC recently enabled a download option for offline radio listening. It reverses the trend of tablets becoming the dominant TV steaming device,. Back in January tablets overtook PC iplayer requests for the first time ever, although that could have something to do with consumers trying out their new Christmas presents. Other data from the beeb showed that the iplayer demographic was the, “strongly under-55 in terms of age,” equally split between men and women. It takes a lot of time and money to build up a brand, so it may be wise to make sure nobody owns your name first. The Youview internet TV service didn’t seem to follow that advice, and are now on the wrong end of a court ruling. The spat is with a UK telecommunications company called Total Ltd, who are not happy that their established trade mark ‘Your View’ has been hijacked, and a judge has sided with them saying that the YouView name does infringes the trade mark. The company which successfully won an initial appeal in 2012, and then went on to issue high court proceedings, say they want the courts to make Youview change their entire branding, and pay compensation along with court costs into the bargain. As the dispute has been raging for several years, that may be a lot of costs. 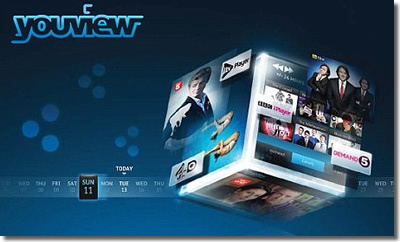 The Youview service which launched nearly 2 years ago, is a connected set-top box that plays both broadcast, catch-up and on-demand content from the major UK broadcasters. The company which is backed by a combo of TV and broadband companies that include the BBC, ITV, Channel 4 and Channel 5 has been beset by problems since inception, and now they have another one. It could have been worse for Youview though, it was rumored that Google were planning to sue because the name sounded too much like Youtube.